Get your free Egg Hatching Record now. 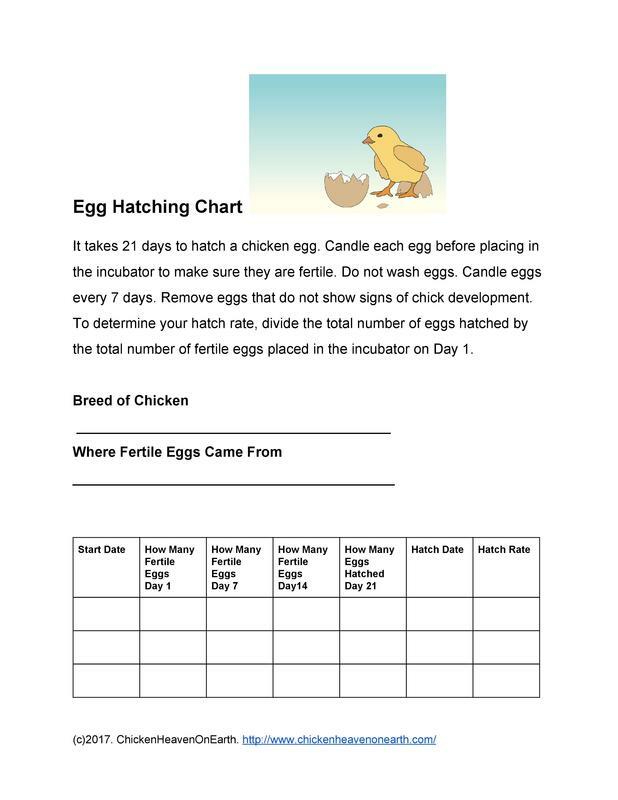 Includes Egg hatching tips.How to determine your hatch rate and more.There are three pages of rows to add more information about over 20 different hatches, in addition to the front page seen below. Everything you need to know to successfully hatch eggs in an incubator. Go to How to Hatch eggs in an incubator.